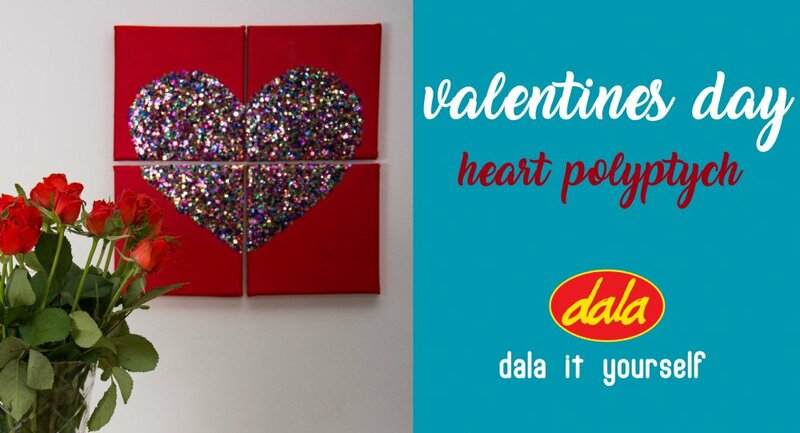 Striking and unusual, personalised wall art DIY for your loved one. 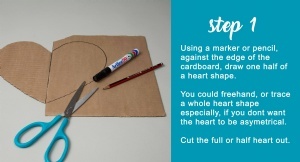 Using a marker or pencil, against the edge of the cardboard, draw one half of a heart shape. You could freehand, or trace a whole heart shape especially, if you dont want the heart to be asymetrical. Cut the full or half heart out. 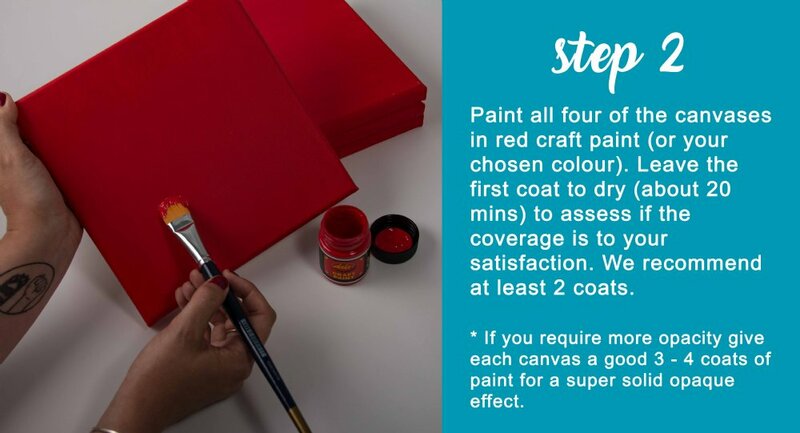 Paint all four of the canvases in red craft paint (or your chosen colour). 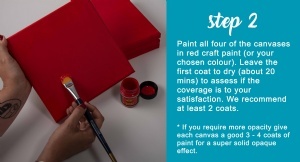 Leave the first coat to dry (about 20 mins) to assess if the coverage is to your satisfaction. We recommend at least 2 coats. * If you require more opacity give each canvas a good 3 - 4 coats of paint for a super solid opaque effect. 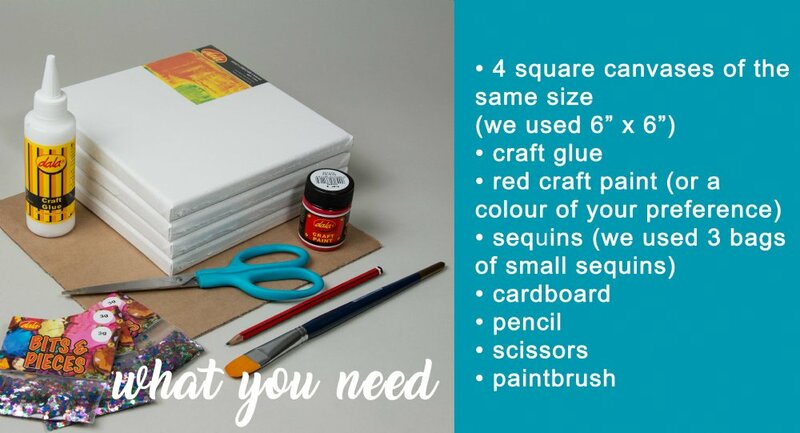 Once the painted canvases have dried properly, lay them down tightly next to one another so they resemble a “window” and make 1 big canvas. 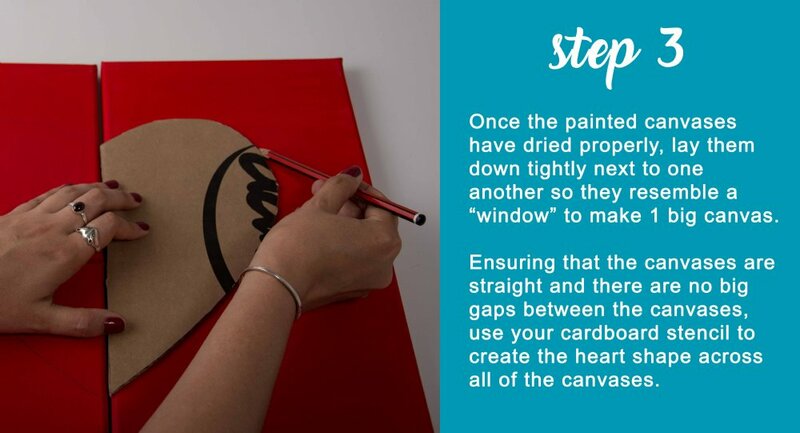 Ensuring that the canvases are straight and there are no big gaps between the canvases, use your cardboard stencil to create the heart shape across all of the canvases. 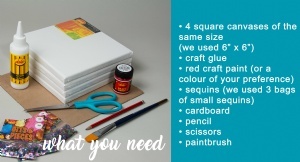 Apply the Craft Glue or any other liquid glue you may be using for this project in a generous layer. 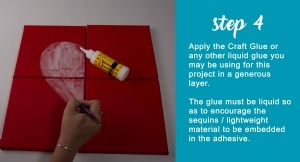 The glue must be liquid so as to encourage the sequins / lightweight material to be embedded in the adhesive. 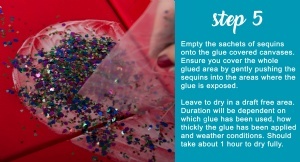 Empty the sachets of sequins onto the glue covered canvases. Ensure you cover the whole glued area by gently pushing the sequins into the areas where the glue is exposed. Leave to dry in a draft free area. Duration will be dependent on which glue has been used, how thickly the glue has been applied and weather conditions. Should take about 1 hour to dry fully. 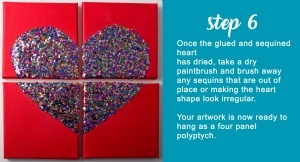 Once the glued and sequined heart has dried, take a dry paintbrush and brush away any sequins that are out of place or making the heart shape look irregular. Your artwork is now ready to hang as a four panel polyptych! This item has 587 views.